Ideal for bathrooms and kitchens, our double slider windows promote air flow and a healthy, pleasant interior environment. Their vinyl frame comes with a high number of internal air chambers for excellent insulation and thermal efficiency. 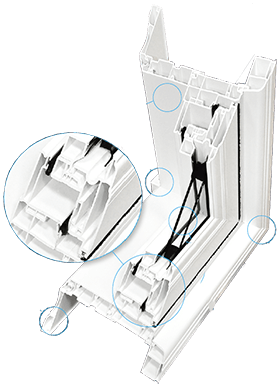 The innovative Insta-Lok shoe allows the sash to glide effortlessly along a horizontal plane. When it’s time for cleaning, simply tilt the double slider windows open for easy access to both the interior and exterior of the glass.